We provide professional auction services to liquidate your estate or business. Guaranteed to make it a painless & profitable experience. THE GETTIN' SPOT - ONLINE ONLY AUCTION - MID CENTURY , ANTIQUES, FURNITURE, AND MORE!! THE GETTIN' SPOT - ONLINE ONLY AUCTION - SPORTS MEMORABILIA , ANTIQUES, FURNITURE, AND MORE!! DIAMONDS, GOLD, STERLING AND GEMSTONES!!!! FIRE ARMS - SPORTS MEMORABILIA - JEWELRY - LG APPLIANCES - AND MORE!!! 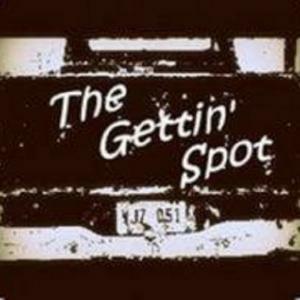 THE GETTIN' SPOT - MEGA ONLINE ONLY AUCTION - OVER 700 LOTS OF AUCTION GOODNESS!! SCHOOL & OFFICE SUPPLIES, COMMERCIAL & INDUSTRIAL PRODUCTS, TOOLS AND MORE! SPORTS MEMORABILIA, FURNITURE, PROM DRESSES AND MORE! HEATERS, COOLERS, FURNITURE AND MORE!! FIRE ARMS, FURNITURE, JEWELRY, GIFTS AND MORE!! YOU NAME IT... THIS AUCTION HAS IT!!! SPORTS MEMORABILIA, FURNITURE, COINS AND MORE! UNIQUE WORLDLY COLLECTIBLES, FOOD TRUCK AND MORE! POWER PACKED AUCTION FULL OF ANTIQUES, CAMPING, LAWN EQUIPMENT, FURNITURE, MUSIC EQUIPMENT & MORE!!! This company has posted a total of 156 estate sales. Only the most recent 50 sales are shown.